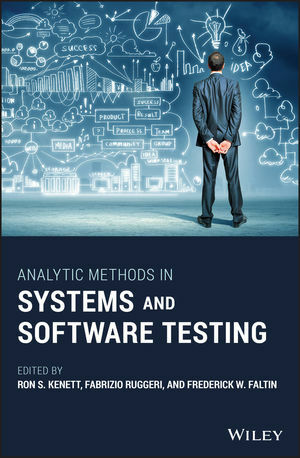 This book provides valuable insights into state of the art software testing methods and explains, with examples, the statistical and analytic methods used in this field. Numerous examples are used to provide understanding in applying these methods to real-world problems. Leading authorities in applied statistics, computer science, and software engineering present state-of-the-art methods addressing challenges faced by practitioners and researchers involved in system and software testing. Methods include: machine learning, Bayesian methods, graphical models, experimental design, generalized regression, and reliability modeling. Analytic Methods in Systems and Software Testing presents its comprehensive collection of methods in four parts: Part I: Testing Concepts and Methods; Part II: Statistical Models; Part III: Testing Infrastructures; and Part IV: Testing Applications. It seeks to maintain a focus on analytic methods, while at the same time offering a contextual landscape of modern engineering, in order to introduce related statistical and probabilistic models used in this domain. This makes the book an incredibly useful tool, offering interesting insights on challenges in the field for researchers and practitioners alike. Analytic Methods in Systems and Software Testing is an excellent advanced reference directed toward industrial and academic readers whose work in systems and software development approaches or surpasses existing frontiers of testing and validation procedures. It will also be valuable to post-graduate students in computer science and mathematics. RON S. KENETT is Chairman of KPA Ltd and Senior Research Fellow at the Samuel Neaman Institute, Technion, Israel. FABRIZIO RUGGERI is Research Director at CNR-IMATI, Milano, Italy. FREDERICK W. FALTIN is Co-Founder of The Faltin Group, Cody, WY, and Associate Professor of Practice, Department of Statistics, Virginia Tech, Blacksburg, VA, USA.